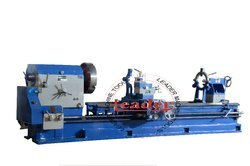 Height of Centre: 18" to 40"
We are one of the reliable companies in this domain and are into offering Heavy Duty Lathe Machine. Matching up with the ever increasing requirements of the customers, our company is engaged in providing Heavy Duty Lathe Machine. 7 Ft Lathe, ANIL Make, - 2 Nos. Bosch Heavy Duty – Power, Performance and Robustness redefined!